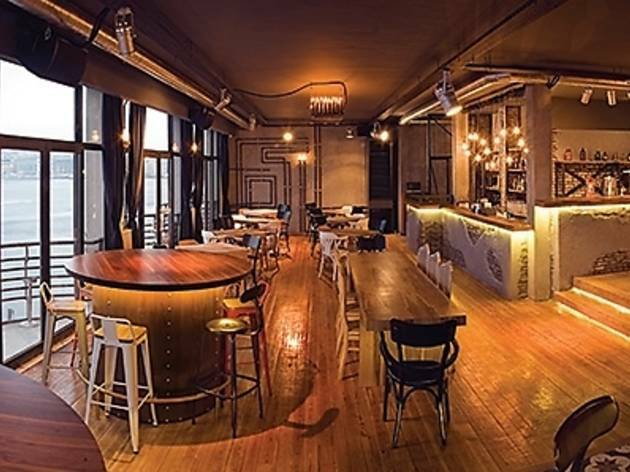 Trendy Karaköy bar Fosil recently moved from its location above Liman Lokantası to Kemeraltı Caddesi, where it continues to bring the atmosphere of İstiklal Caddesi to the neighborhood. The venue is big enough for crowded groups to dance comfortably, with a long bar counter where we don’t imagine you’ll spend a lot of time waiting. There’s also an outdoor area that’s ideal for catching your breath once in a while. 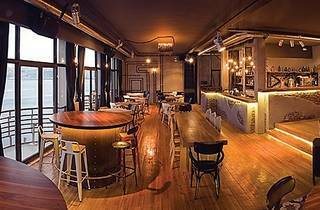 With such ample space, it’s no surprise that Fosil Karaköy caters to more than just night owls: there’s also a rich menu to help fuel patrons before the party gets going. The star item, tenderloin sautéed Zurich-style, is served inside tortilla bread with a special sauce. The incredibly thin and crispy pizzas are also worth a try for those who want to enjoy toppings without feeling overstuffed.